Filling out the convention card — part 4 — NT Opening Bids cont. 2NT: Most pairs use a 2NT opening to describe a strong balanced hand. Popular high-card point ranges include 20–21, 20–22 or even 22–24. Write your ranges in the lines provided. Note that these lines are in black, so no Announcement is necessary. Puppet Stayman: Many pairs use a 3 response to a 2NT opening as Stayman, asking if opener has a four-card major. A popular variation is to play puppet Stayman, wherein the 3 response asks if opener has a four- or ﬁve-card major. The advantage to this method is that it allows opener to open 2NT even if the hand contains a ﬁ ve-card major without worrying about missing a possible 5–3 major-suit trump ﬁt. 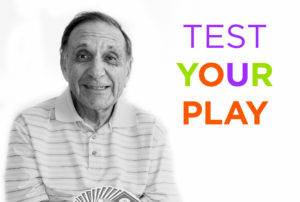 ALERT: If you play puppet Stayman, check the RED box and Alert the opponents. After a 2NT opening showing a strong balanced hand, many pairs allow responder to show a long major with a transfer response. Responder bids the suit below the one he actually holds, and opener accepts the transfer by bidding the next higher suit. Jacoby After a 2NT opening, Jacoby transfers are made at the three level. Responder’s 3♦ bid promises ﬁve or more hearts, and asks opener to accept the Jacoby transfer by bidding the next highest suit, 3♥. The auction proceeds from there. Similarly, a 3♥ response to 2NT would be a Jacoby transfer to 3♠. Texas After a 2NT opening, Texas transfers are made at the four level. When responder uses a Texas transfer, he promises at least six cards in the major. 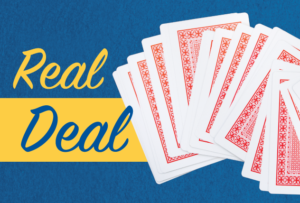 To transfer to spades, responder would bid 4♥, asking opener to accept the Texas transfer by bidding 4♠. After the transfer is accepted, responder may pass or continue bidding depending on the strength of his hand. ANNOUNCEMENT Note that the transfer boxes are in BLUE. If you play Jacoby or Texas transfers, check the BLUE box(es) and Announce “Transfer” if your partner uses a transfer response to your 2NT opening. 3♠: Since most pairs use Stayman and transfers, the 3♠ response to 2NT is often left without a meaning. Indeed, many pairs agree simply not to assign a meaning to 3♠ at all! Others, however, use a 3♠ response to show some sort of hand with length in one or both minors. ALERT: If your 3♠ response is not natural, write a brief description on the RED lines provided and Alert the opponents. 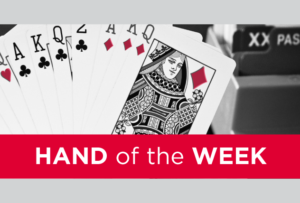 3NT Many pairs agree to play an opening bid of 3NT as showing a super-strong balanced hand, such as 24 or more HCP. Common ranges are 24–26 or 25–27. If you play this way, write your range in the spaces provided. No Announcement is necessary. ALERT If you play any conventional responses to a 3NT opening (such as transfers) use the RED line for a brief description, and Alert the opponents. Conventional NT Openings These lines are used to describe methods that are rare or unusual. An Alert is required for any treatment described in this space. Pairs who use a 2NT opening to show a weak two-suited hand, typically the minors, should describe this treatment here. Some pairs like to use 3NT to show a long, running minor suit, possibly with other values in different suits. This approach is popularly called “Gambling Notrump,” since opener is gambling he can take nine tricks in 3NT before the opponents can defeat him. ALERT If you play this method, write a short description on the RED line provided and Alert the opponents.